Acer Aspire S3 has just launched in Taiwan this weeks, There's some Interesting features of the Acer Aspire ultrabook S3 includes the use of the second generation of Intel processors that offer performance with a powerful performance, as well as the existence of acer premium features such as Acer Instant On Green to improve the battery life of the Acer Aspire S3 Ultrabook, as well as Acer Instant Connect feature to access the internet faster. 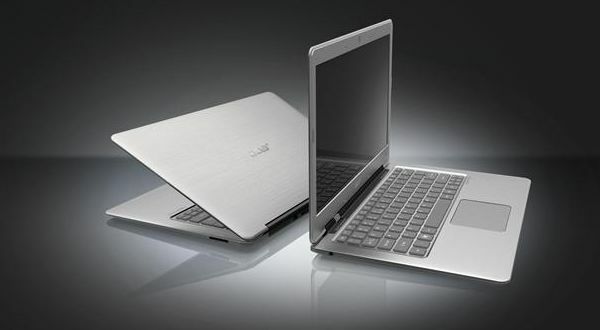 So how about the specification of this World's thinnest ultrabook today Acer Aspire S3? Aspire S3 uses 13.3-inch screen with a resolution 1.366x768 pixels ( HD ), with an Intel Core i5 second generation 2467 M ULV ( ultra low voltage ). As for memory storage, You can choose either for 320 GB HDD, or 240 GB. 4GB of RAM are also included in order to improve the performance of the processor to 2.3 GHz. Some common specifications, includes Bluetooth 4.0 HS, HDMI ( for streaming to your HDTV or monitor ), 802.11b/g/n WiFi, two USB 2.0 ports, card rider, and 1.3 megapixel webcam is added to complement the Aspire S3. Here's the Videos of World's Thinnest Ultrabook Acer Aspire S3.